It's on many devices, but we still don't know what kind of devices. 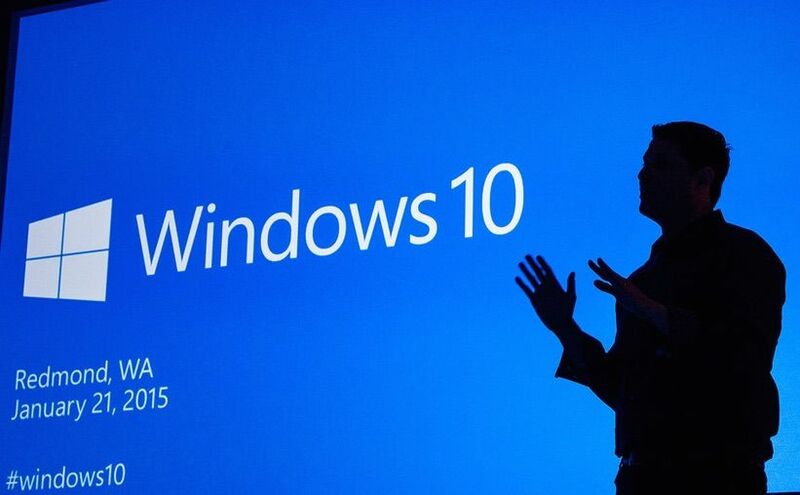 Microsoft just unveiled the future of Windows 10 today in Redmond. Along with some crazy holographic goggles that take on Google Glass and Oculus, company executives revealed the ambitious plan to make the next generation of Windows the first truly universal platform for desktop PCs, laptops, smartphones and more. The 2.5 hour keynote was packed with new features coming to Windows 10 devices and the Xbox, but eagle-eyed Apple fanboys have already noticed a few ways Microsoft was influenced by some of Apple’s best features. One of the biggest announcements Windows users will enjoy is the fact that Windows 10 won’t come with a price tag. Apple has been offering free OS X upgrades to Mac users for years. It seemed only inevitable that Microsoft would eventually cave and give out its operating system for free now that its biggest competitors – iOS, OS X, and Android – are all giving away great software. Microsoft isn’t giving away Windows 10 for free forever though. 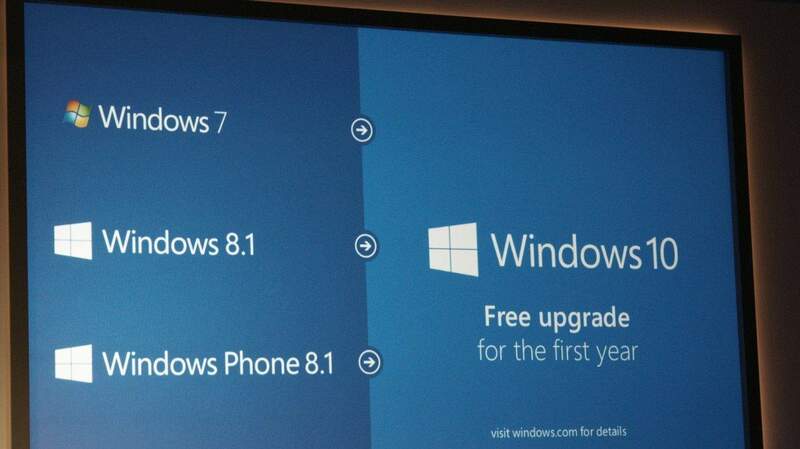 The company told reporters at today’s event that Windows 10 will be available as a free upgrade for the first year of its release to all Windows 8.1 and Windows 7 users. 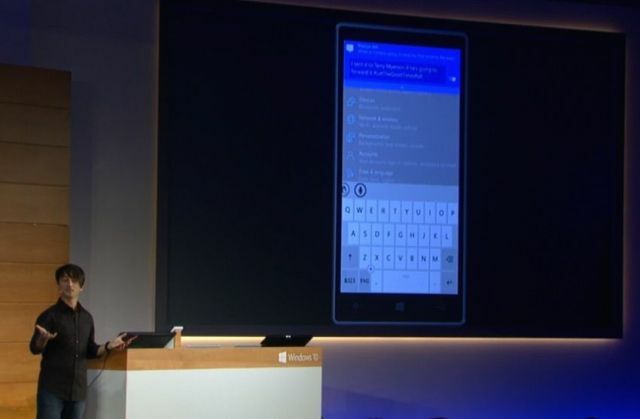 “We want people to love Windows on a daily basis,” Satya Nadella said in the closing moments of the keynote. Microsoft definitely appears to be trying to ape Apple’s approach to making products and services that are personal and designed well. Nadella even seems a bit like Jobs — dressed down, pacing the stage as a sagelike savant who just loves tech and has a new super product to take over the world. Windows 10 phone users will be able to quickly tidy up their inboxes now that Microsoft is adding gestures like those introduced in iOS 8 that let you quickly trash or archive messages. Technically, Apple copied stole the swipe left to delete gesture from Mailbox, so we can’t blame Joe Belfiore for proudly stating that “These modular gestures might look familiar to some of you” when previewing the new app. Skype is great at video calling. Now its ready to be even better at texting. On Windows 10, Skype is basically like Facetime + iMessages. Skype messages are integrated deeper than ever into Windows 10, which will automatically detect when a someone you’re texting has a Skype account and then transitions to sending texts over Skype instead. Just like iMessage. Apple revealed its Continuity feature for OS X 10.10 Yosemite in June of 2014 for increasing productivity by allowing Mac users to swap tasks over to their iPad or iPhone and vice versa. 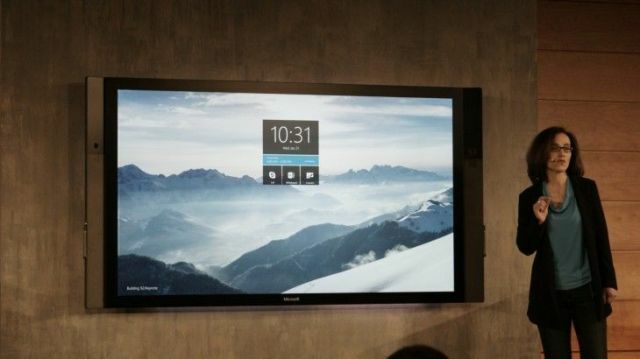 Microsoft came out with its own spin on the feature called Continuum. Instead of sending your Word document over to your Windows Phone though, Continuum quickly transforms your touchscreen laptop into a tablet mode so you don’t even have to reach for an iPad. The functionality isn’t exactly the same, but couldn’t they come up with a different name? Microsoft, you don’t want to copy everything Apple did during its huge keynote in September, which also featured painfully horrible livestream. We couldn’t watch a full minute of Microsoft’s keynote this morning without getting stopped in our tracks by the heinous “BUFFERING…” message on our TVs and computers. It’s shocking that two of the biggest tech companies in the world can’t pull off a decent livestream. Maybe they could talk to their friends at YouTube. Microsoft didn’t exactly print out a copy of OS X today. The company seriously moved tech forward with some of its major announcements, like HoloLens and Windows 10’s cross-platform functionality. Apple was beat today in a few key areas we weren’t expecting. We’ve given up on the possibility of Apple Television ever being released, but Microsoft gave us a small glimpse into what might have been with the new Surface Hub. It’s basically a giant 84-inch 4K tablet you can stick to your office wall to boost productivity. It features dual cameras, microphones, WiFi, Bluetooth LE, NFC, and some other “advanced sensors.” There’s also a 55-inch option available but Surface Hub is geared toward enterprise, instead of family. It’s got a cool interactive whiteboard, and can do Skype, but doesn’t look very cool on the entertainment end. A few minutes into the unveil my biggest thought was this must be why Apple never made a television: there’s still only niche uses for a giant iPad. I doubt we’ll see many Surface Hubs in living rooms within the next three years. Mac users have had text to speech on their machines since OS X Mountain Lion was released, but Apple’s been slow to bring Siri completely over to the Mac. Cortana is poised to beat Siri with a slew of new features that make her more conversational for desktop users. Windows 10 still doesn’t have a release date, so Apple could technically come out with Siri for Mac at WWDC 2015 and release it before Cortana lands on Windows 10, but it better have a deep feature set to be a truly competitive alternative to Cortana on PC. A futuristic set of goggles was the last thing we were expecting to see at today’s keynote. Microsoft shocked us with HoloLens. It’s the most intriguing product to come out of Redmond maybe since the Xbox, but we’re still not sure if we’ll actually want to use one for anything other than super immersive video games. It definitely puts both Google Glass and Oculus on notice, but I don’t think Apple is worrying too much yet about Microsoft’s first wearable. Apple fans have anticipated the eventual merging of OS X and iOS for nearly a decade, but that future still seems years away. For PC users it’s here much sooner. Windows 10 gives Microsoft a truly universal platform and we hate to say it, but it looks great on PCs, tablets and phones. It would be amazing to flip my MacBook Air into an iPad and have the operating system seamlessly transition into a touch-based experience. Sadly, it doesn’t seem like Apple is ready to make that big leap yet, while Microsoft has somehow morphed Windows 8’s horrible experience into something that actually looks cool in Windows 10. One area that Microsoft still can’t compete with iOS is apps, so until developers start making a mass exodus from iOS, Apple still has the upper-hand.